I spoke with Tony Cavalero about his roles in Becoming Santa, School of Rock, his beautiful rescue dogs, The Groundlings, smoothies, holiday films, and so much more. He stars as Jack Frost in Lifetime’s Becoming Santa, which airs Saturday at 8/7c. He also stars as Dewey Finn in School of Rock, which will be making its series debut on Nickelodeon in early 2016. Tony was so much fun to speak with and I can’t wait to see his take on Dewey Finn. Don’t miss Tony in Becoming Santa this Saturday on Lifetime. Lena: Before we start talking Christmas films, I would like to know what do you think your gorgeous pups would ask Santa for? Tony Cavalero: Tippi would want orange squeaky tennis balls. Lucy would want literally anything food related. Maybe a peanut butter covered pizza slice. Maggie would probably just want endless chances to chase Tippi with a new tennis ball in her mouth. Lena: I love animals and I got excited when I saw your dog photos on Facebook, so I had to ask about them. Tony Cavalero: That’s actually what I did right before I went to bed last night. I was Skyping with my wife looking at our silly animals taking ornaments off the tree and playing with them as if they were dog toys. Lena: It must be difficult with three dogs. When someone does something wrong do they rat each other out or do they all just look guilty? Tony Cavalero: Oh, yeah. Tippi is 3 and Maggie is 2, so they are the dream team of mischief. Lena: Lifetime loves their holiday films, but you are in the best one of the season because Becoming Santa also doubles as a Family Ties reunion. Tony Cavalero: I worked with them on another film back in 2012 called Naughty or Nice but I didn’t have any scenes with them. In this one, we got to spend three weeks together all hanging out because the film takes place mainly in the North Pole. It’s pretty secluded up there so there weren’t very many cast members. I got to really hang out with Michael Gross and Meredith Baxter. They are such awesome, sweet, kind, and talented people. Lena: Were you a big Family Ties fan? 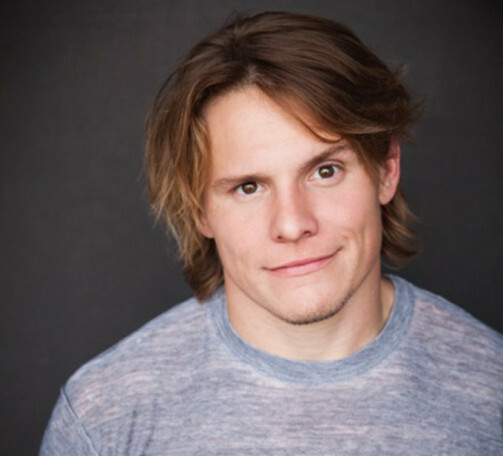 Tony Cavalero: Oh yeah, growing up for sure. Kind of like on the nerd side of things, I’m a huge Tremors fan. He had just finished doing Tremors 5 and I had been up to play his son in the movie and I didn’t get it. Jamie Kennedy ended up getting it. It’s just a weird small world. Lena: As far as auditions go, it must be great having a background in improv. Does that help out a lot? Tony Cavalero: Oh, 100 percent. I owe pretty much all of my success and work out here to all the work I put in at The Groundlings. That’s where I met my wife Annie. That’s how I got my start in pretty much everything. It’s just so useful because at The Groundlings we learn how to write characters for ourselves. We learn what makes us funny as people and what characters we can play that are funny. 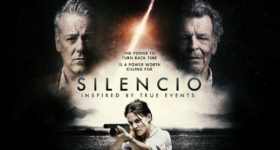 We are able to bring not only an actor to a role, but an actor who can write for himself or herself to a role. Our director Christie Will was really awesome. She would let us play in scenes and stuff like that. Lena: You also get do a lot of work with your wife. That must be fun. Lena: Can you talk about your role in Becoming Santa and what the film is about? Tony Cavalero: The movie is really fun and lighthearted. Basically, it’s about this girl, Holly, who is pretty much the typical veterinarian in small town America. She decides to bring her boyfriend Connor home for Christmas this year and low and behold when they get home you find out that her parents are actually Mr. and Mrs. Claus and she’s from the North Pole. When he gets up there he is in for a surprise, not only because her parents are Mr. and Mrs. Claus, but their next-door neighbor is her ex-boyfriend who is my character, Jack Frost. Jack Frost is charming, funny, and you can’t quite get a read on whether he’s a good guy or a bad guy. You have to watch the movie to find out which one he is. It was also cool because I got to have some magical powers. Lena: What are some of your favorite holiday films? Tony Cavalero: National Lampoon’s Christmas Vacation and Home Alone. Let me put Love Actually on there because my wife loves that one and we always decorate the Christmas tree with that playing in the background. Lena: I hear that you are a smoothie guy, so do you make a special one for the holidays or do you have a recipe that you can share? Tony Cavalero: I am a smoothie guy. I really like chocolate peanut butter smoothies. I use this low-fat, low-cal powdered peanut butter that you just mix in with water. I’ll put a couple of scoops of that and a scoop of chocolate protein and I’ll slice up half a banana and some ice cubes and water. That’s a great low-carb one. I just got one of those Ghirardelli peppermint bark chocolate bars and I bet it would be really good if you took out the banana and peanut butter and did like a mint chocolate protein shake with a few shots of peppermint syrup in there. Lena: Do you know when the School of Rock series is going to premiere on Nick? Tony Cavalero: We are supposed to find out really soon. I just know that it’s early 2016. Lena: You get to bring Dewey Finn back to life. Is it difficult to play an already established character? Tony Cavalero: It was so much fun to film. Not for me personally just because I’m able to relate to the character so much. We are both passionate about the arts and I’m also a kid at heart. It was really a natural transition for me and I’m also such a fan of the film with Jack Black. It was really just an honor and a joy to show up to work everyday and play that character. I love kids too, so it translated perfectly. Lena: They should bring Jack Black on as a guest star and you guys could have a rock off. 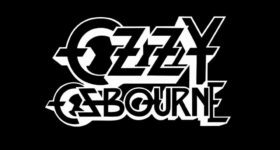 Tony Cavalero: That would be so amazing. I can just envision us doing powerslides. That would be so much fun. Lena: Everyone is familiar with the film, but since it’s a series you’ll have more time to explore the character and make it your own. Tony Cavalero: Oh, totally. The creators of the show were always taking the time to tell me that I was making the character my own. My comedic styling, like I said I love Jack Black and a lot of people told me that my voice sounds exactly like his. It’s nice to be able to have little moments and chances where I get to create the character of my own and get to be a little different. They are also doing the Broadway show right now. It’s nice to be able to make my own take on the character and again having The Groundlings background I’m able to find idiosyncrasies and specifics that are different than the character that we’ve seen on the film but also staying really true to the film and his intensions of who Dewey is at the core. Lena: What are some of the topics that we’ll get to see you cover in the series with the kids? Tony Cavalero: Oh man, all of the stuff that you go through in middle school. The good thing is that Dewey is a big kid, so he’s easily going through something similar to what the kids are going through because he’s a big kid. Things like getting your schoolwork done on time, music, and pretty much all things awesome. Lena: Do you know when Ken Jeong Made Me Do It is coming out? It was supposed to be on MTV. Tony Cavalero: I don’t think it’s going to happen as of right now. Dr. Ken is doing so well on ABC. I can tell you that Ken Jeong is one of the nicest people I’ve ever met. He is absolutely awesome. Lena: That’s fantastic. And he started out as a doctor. I just can’t get over his character in The Hangover films, so hilarious. Tony Cavalero: I know. It’s wild. He had his own family practice and was just doing stand-up comedy for fun. Tony Cavalero: Right now I’m in Texas doing an independent feature called An American in Texas. That should be out in the next year or so. I just did an episode of New Girl. I just did a couple episodes of a Crackle series called SuperMansion. It’s stop-motion by the same guys that do Robot Chicken. It’s also features the voices of Bryan Cranston and Keegan-Michael Key. That was really fun. I’m also pitching TV shows with my wife, feature films, and stuff like that. It’s been a great year. I just got married in August, too. It’s been a really, really great year. Becoming Santa premieres Saturday night at 8/7c on Lifetime. 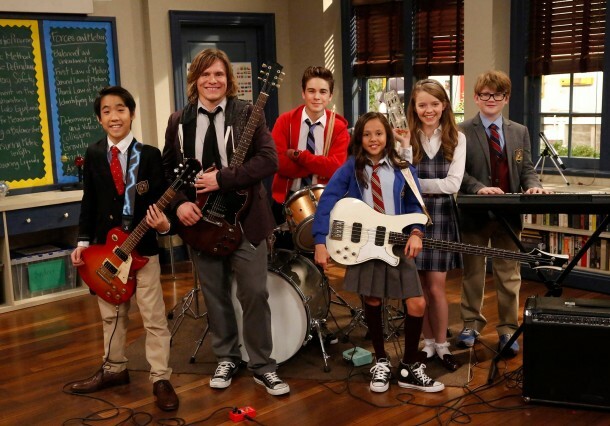 School of Rock premieres in 2016 on Nickelodeon.